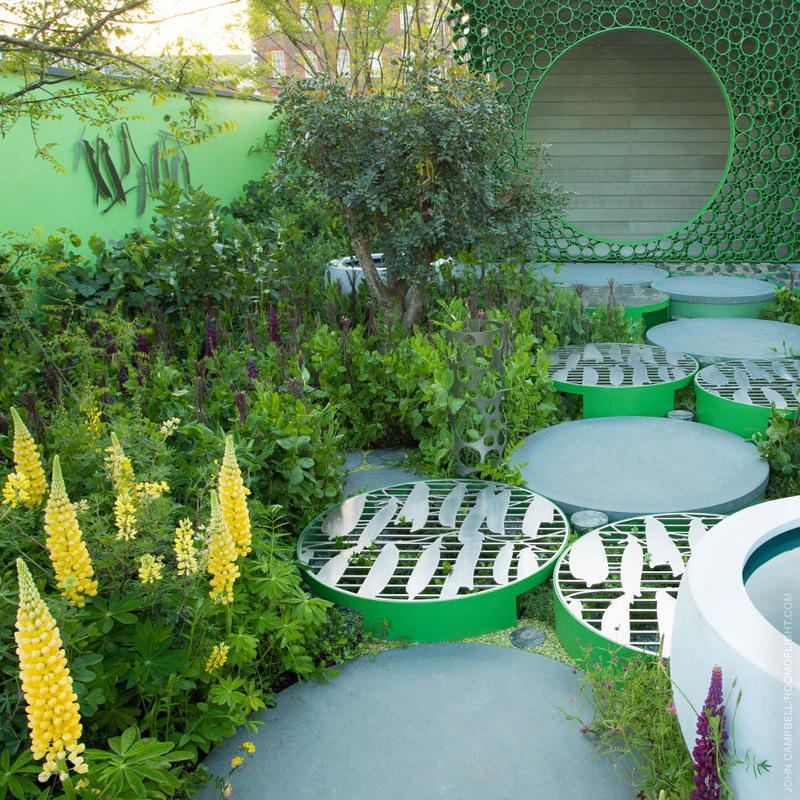 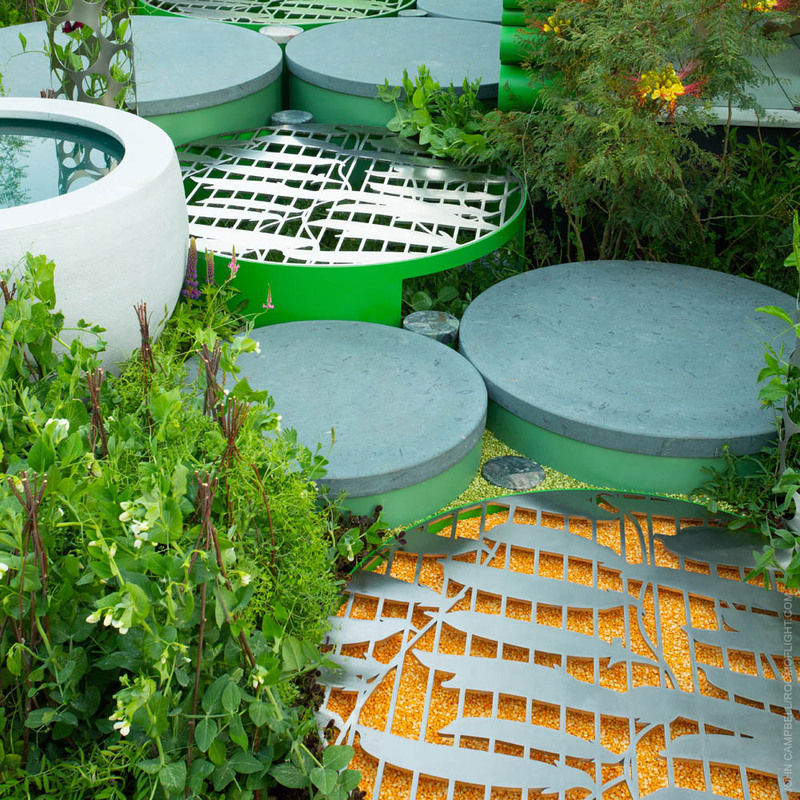 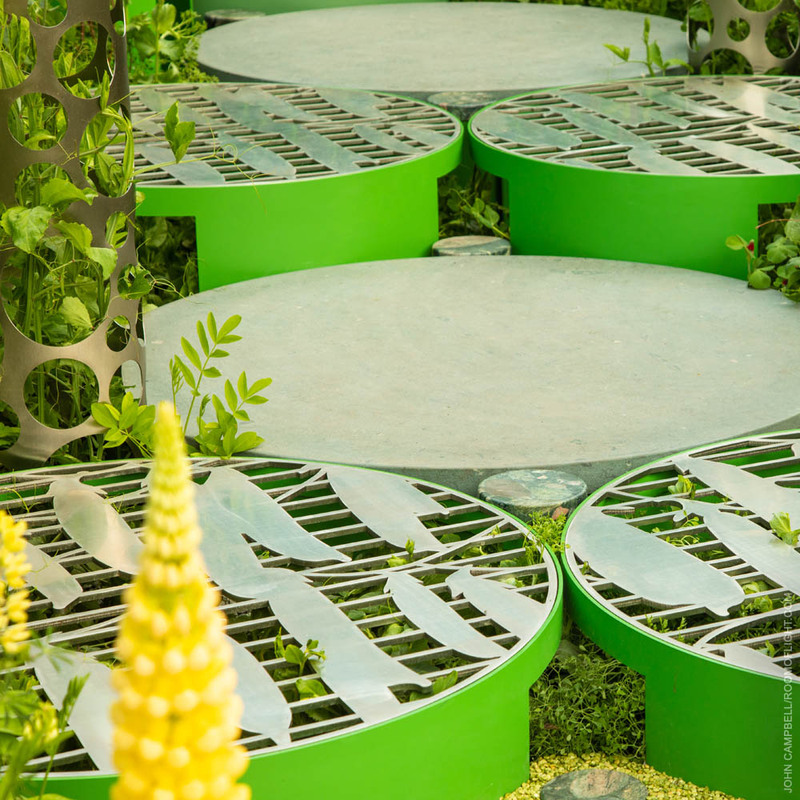 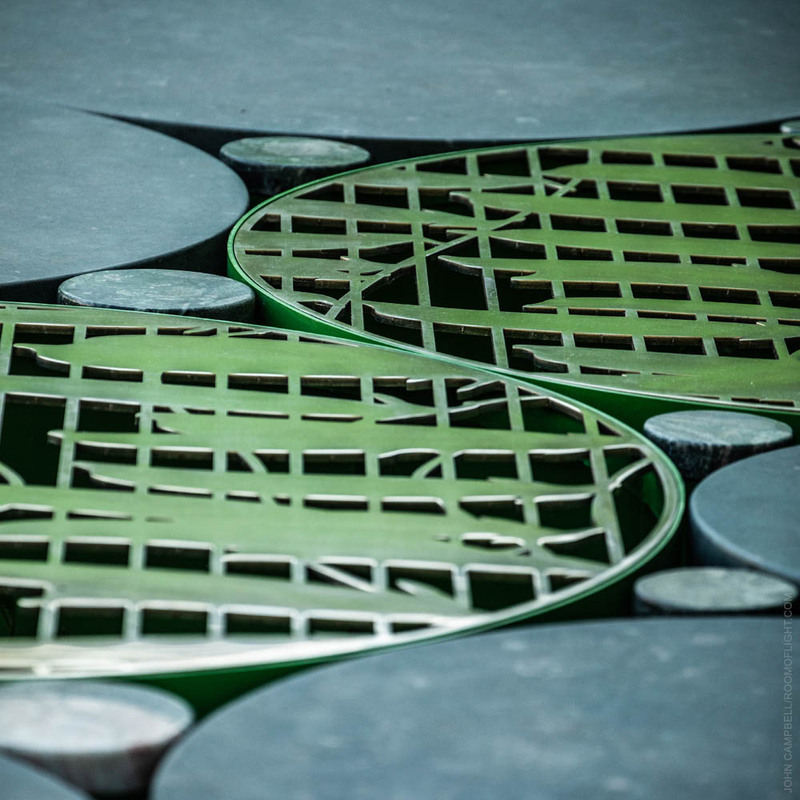 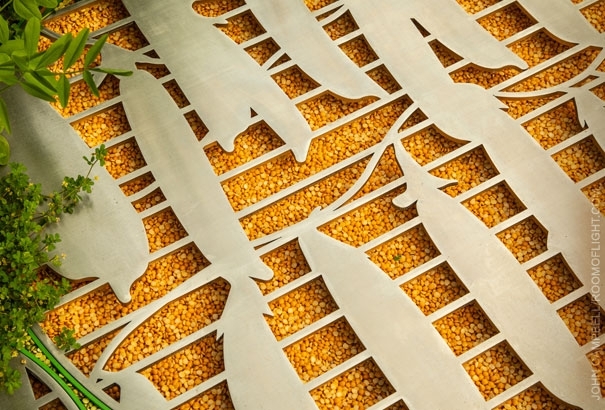 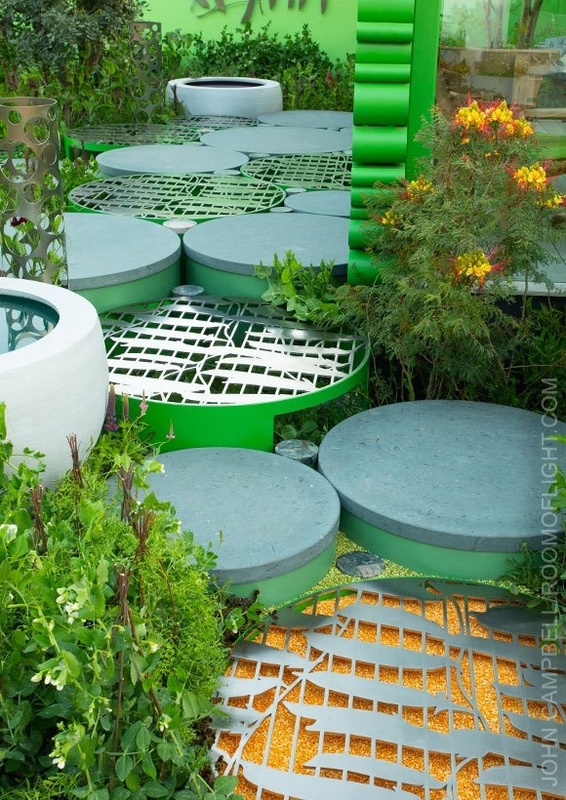 A set of intricate steel grilles, laser-cut with designs inspired by garden peas, interspersed among conventional stepping stones in the Gold Medal-winning Seedlip Garden at RHS Chelsea 2018. 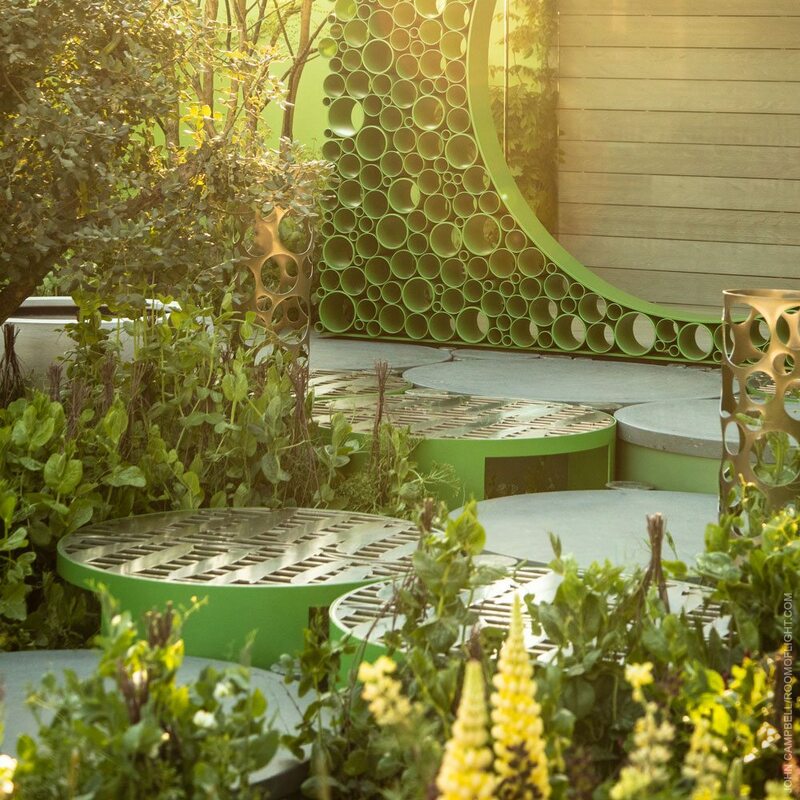 These laser-cut grilles formed part of a path leading to the central Peavilion feature in Dr Catherine MacDonald’s Seedlip Garden, which took a Gold Medal at RHS Chelsea 2018. 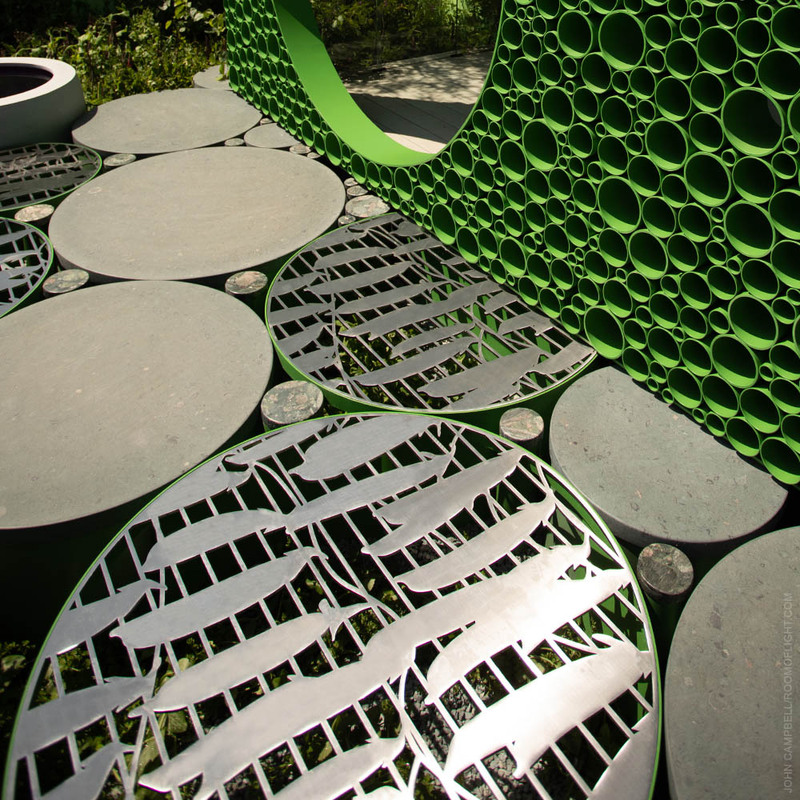 The grilles, ranging in diameter from 60mm to 1,200mm, are made from 8mm stainless steel, laser-cut with a design based on pea pods, then polished and grained to give a smooth, satin finish. 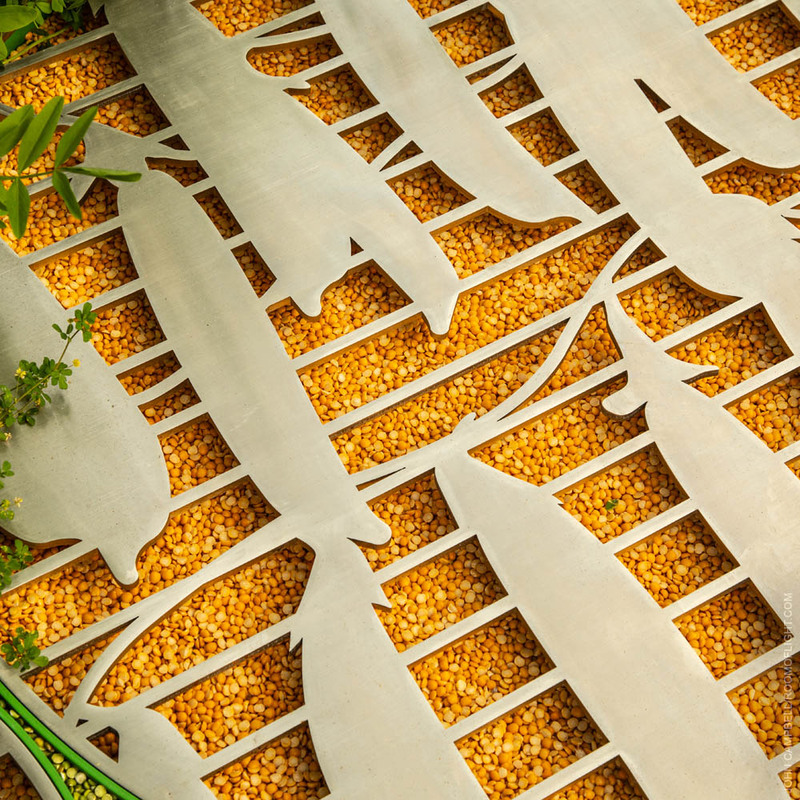 Each grille is mounted on a cylinder made from mild steel, rolled with absolute precision on our CNC roller, with cut-outs allowing pea-plants to be placed inside. 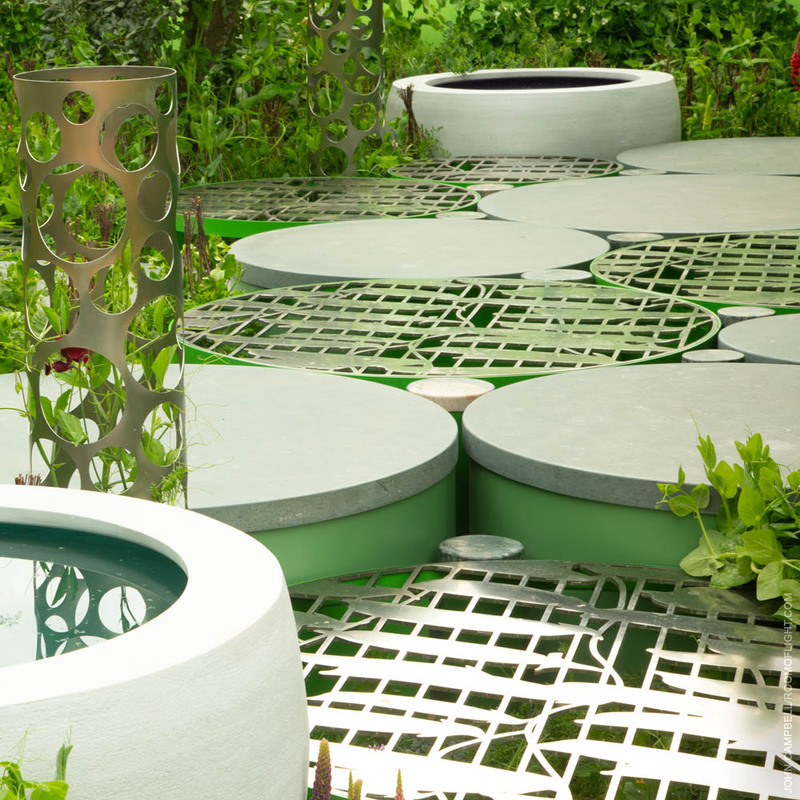 The grilles are interspersed with circular paving stones, supported on similar steel columns.